Richard Branson’s company Virgin has many divisions, from media to trains to airlines. Travellers who prefer the stress reduction of package holidays and guaranteed high-quality service may book with Virgin Holidays. You can also book flights or accommodation separately with Virgin Holidays. If you do want a full package, you can book extras from car hire to cruises as well as tours and excursions in your destination city. They are experts in travel, and this guide can help you to become one, too. Learn how to manage your Virgin Holidays booking and make the most of their resources. The lead passenger can manage the booking at any time as long as they have the number. 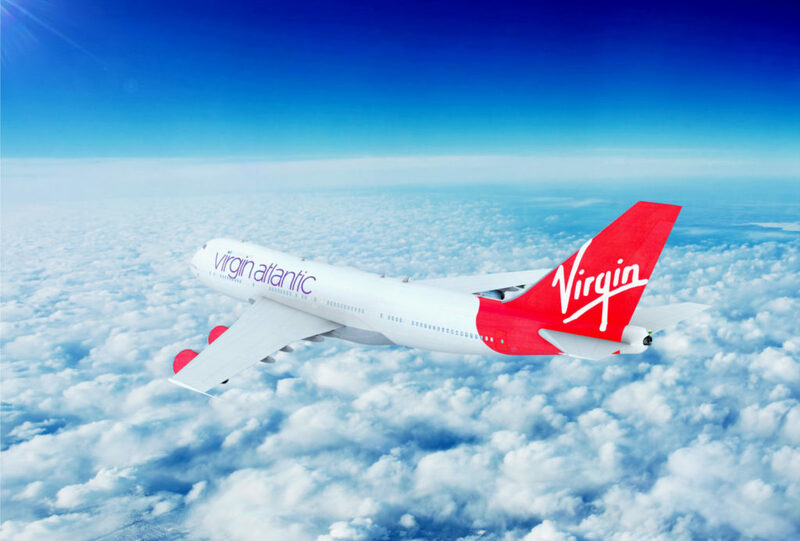 When you book with Virgin Holidays online, you can easily manage your own booking online. 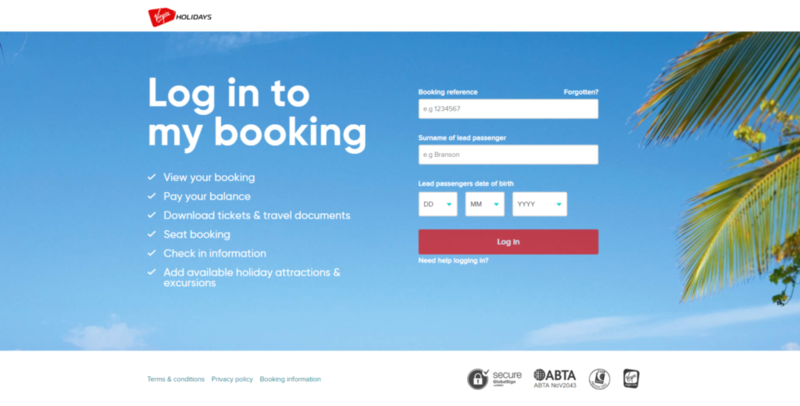 Simply log in with the booking reference and lead passenger details to access your Virgin Holidays booking. You will be able to view the details, make payments, download documents, and update your booking with amendments or additional options. You might want to make changes to your booking after receiving the confirmation invoice from Virgin Holidays. Any changes are subject to availability and will, of course, require further payment. This will include an administrative fee of at least £50 per person, plus the costs of the new services. The later that you make amendments, the more they are likely to cost. Some alterations may not be possible at all, depending on the rules of the supplier. You can transfer bookings to another person, but if you want to change all the names on the booking it will count as a full cancellation. The lead passenger can cancel the booking at any time, at the risk of incurring cancellation charges. The most significant aspect of managing your holiday, once the planning is done, is actually paying for it. Holidays can be too expensive to pay for all at once. This is why Virgin Holidays allows you to put down an initial deposit and pay the remaining balance however you choose. This only applies when you book in advance, as you must pay the full balance by 12 weeks before your holiday departure date. If you fail to manage this, then they will cancel your booking. The standard deposit is £175 per person on the booking. You can then pay the rest off in small chunks as and when you are able to. You can even set up a Direct Debit to make a set monthly payment towards your holiday. To manage your payments, including changing your payment method, log in as above or contact Virgin Holidays. If you need to cancel your Virgin Holidays booking, it is best to do it as soon as possible. The later you leave it to cancel, the more money you will end up losing. You will need to notify Virgin Holidays in writing that you want to cancel the booking. There will always be a circumstantial cancellation fee applicable. The only exception is when your holiday is affected significantly by unavoidable extraordinary changes. Otherwise, in all cases, you will have to forfeit at least your deposit. Cancellation charges are payable immediately upon confirmation of Virgin Holidays cancelling the booking. The amount that you will have to pay for this depends on how far in advance you cancel it. You might save money by transferring the holiday into someone else’s name. However, as mentioned, if you change the names of every person on the booking then Virgin Holidays will treat this as a cancellation you have to pay for. 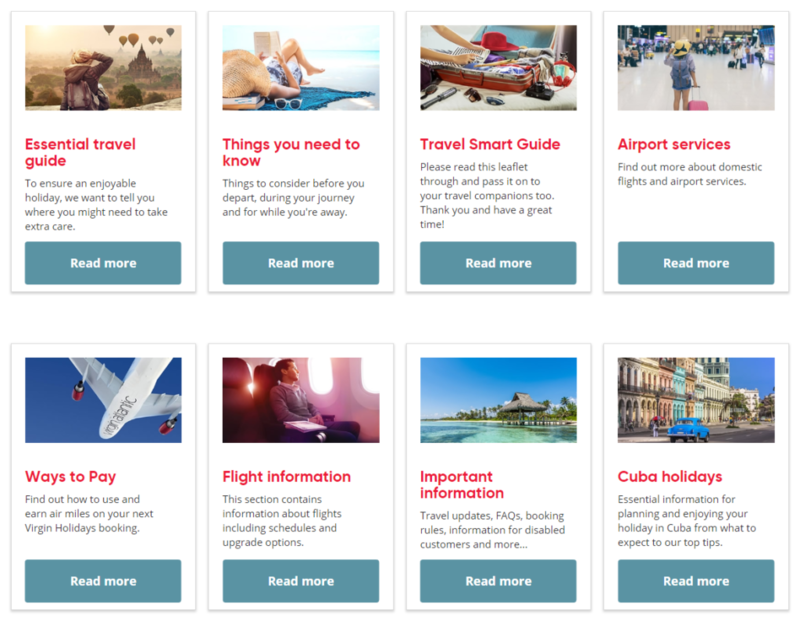 Whether before booking or after, there are plenty of guides on the Virgin Holidays website to help you manage your holiday. You can prepare by learning about everything from Virgin airport services and flights to payment options. There is a section of the important things that you need to consider at every stage. When you book a holiday, you will be responsible for making sure that you have all the legal documents required to travel to your destination. This includes not just your passport but any visas and medical certificates for everyone on the booking. You must also make sure that you purchase the correct travel insurance to cover your circumstances. When you travel, make sure that you pack appropriately for flight luggage allowances and airport security procedures. You can check on safety advice and other information about your stay before going to ensure that you are aware of local customs and laws. If you are unable to manage your booking online or you need assistance, then contact Virgin Holidays. You can call the Virgin Holidays customer centre on 0844 248 2246, which is open every day. Press 1 and then 1 again from the menu options to confirm that you have not left for your upcoming holiday yet. You can then press 2 for help if you made your booking at a retail store, or press 2 if you booked online or through the customer centre. There is also the option to press 4 if you are ready to book your seats or need to make a request for your Virgin Atlantic flights. There is also the option to start a live chat with a Virgin Holidays agent if you need help. You may have to wait if there is nobody available to speak with you right away. You will need to provide the details of your booking so that the agent can look into it for you. If you want some guidance on planning activities during your holiday, contact the local Virgin Holidays concierge team. Representatives with local knowledge can help you to make the most out of your visit and have an authentic experience. They can organize trips that you may not be able to arrange yourself.